We organise three races throughout the year. 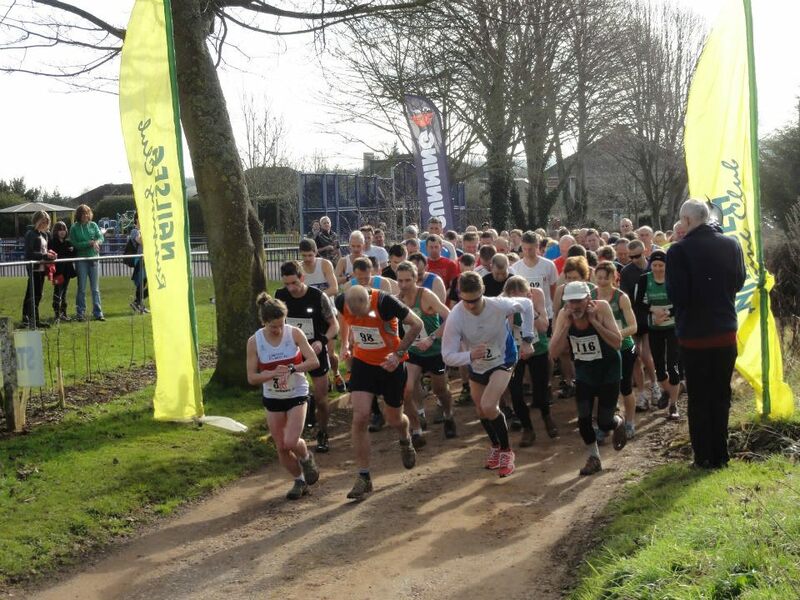 Two off road races, The Ironwood Challenge 10k(ish) (February) and The Tyntesfield Ten (May) and a road race, the Nailsea Festival 10k (June) which are fully organised by NRC members. Each race offers a different terrain and challenge and are open to runners of all levels and abilities, all of our races are fully marshalled and well signed with full first aid cover, water stops and refreshments at the finish line. The Ironwood challenge 10K The 2020 date will be announced later in the year. The Ironwood 10k is our season opener and is a circular 6 mile run starting at Long Ashton Community Centre, Keedwell Hill, Long Ashton, BS41 9DP. From here the route climbs steadily up into the surrounding woodland and then across a few open fields to take in the local scenery before heading back into the forestry commission woodland, where the route passes through an old quarry (a little climb) down the odd hill (and of course back up), before crossing open farmland to finish back at the Centre. A challenging and fulfilling run with fine views thrown in for good measure. The course is fully marshalled. Free parking, showers, baggage store, First Aid and refreshments. This is our most popular race with last year over 400 entrants and steadily climbing, but then who can blame runners as this race takes in the beautiful parkland scenery of the National Trust’s Tyntesfield Estate. The route circumnavigates the estate and its outlying fields with the race starting right outside the picturesque manor house before dropping down into the outlying fields. It then heads up into the woodland, across the top fields where the American forces were stationed in WW2 before dropping back into the parkland and culminating in the finish line behind the manor. In all a 10k race taking in a spectacular back drop with a varied terrain, and ample parking for runners and spectators alike. This year the race will be chip timed and will include texting of results to competitors. This race finds us on our own home ‘turf’ as the race starts and finishes at Nailsea and Backwell Rugby Club. This 10k and new this year 6k race is different to our two other events in that it is primarily a road race, where the route leaves from the rugby club up Engine Lane, out onto the countryside lanes surrounding Nalisea before dropping onto Youngwood Lane then back to the outskirts of Nailsea (two laps for the 10k with a little slope thrown in for good measure) before dropping back down Engine Lane to finish at the rugby club. A quick 10k or 6k road race where you can set a pb!! GOURMET SAUSAGE IN A BUN AND A PINT (or soft drink) FOR EVERY FINISHER! Bar and Refreshments – Outdoor barbeque.